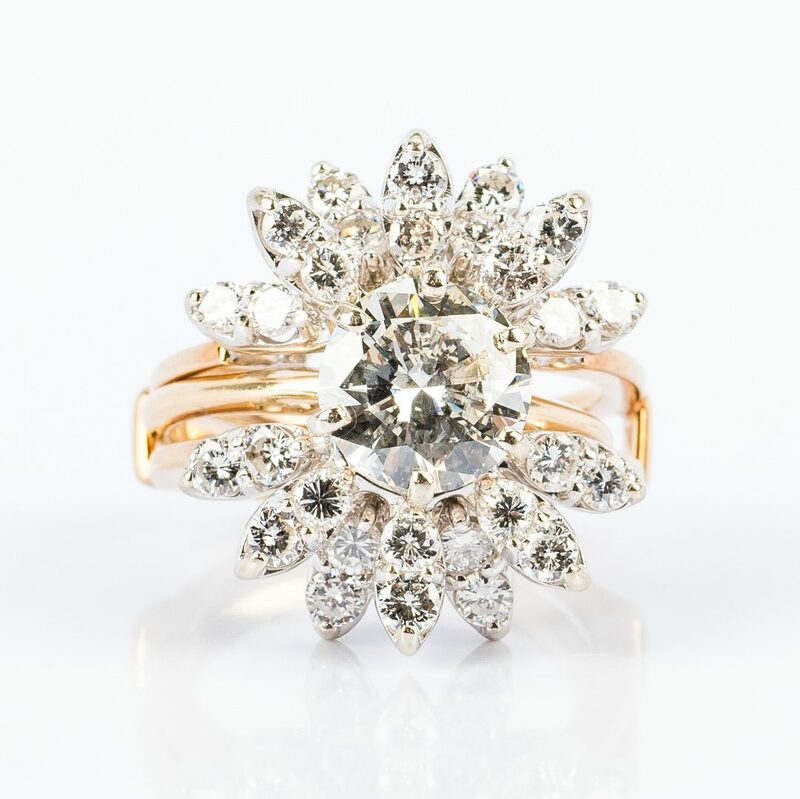 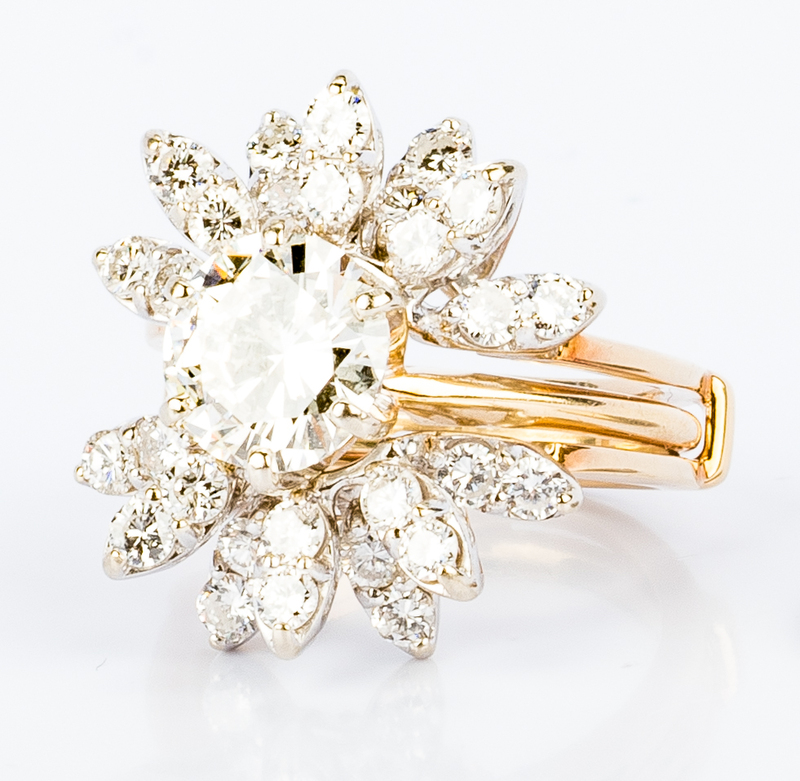 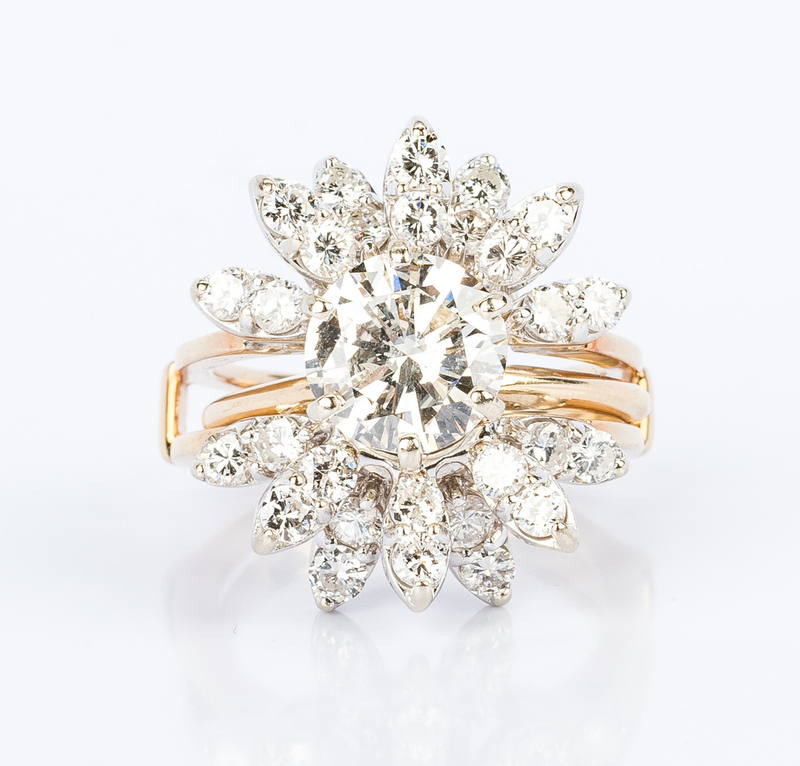 2.09 ct. round brilliant solitaire diamond ring with 14K diamond jacket. 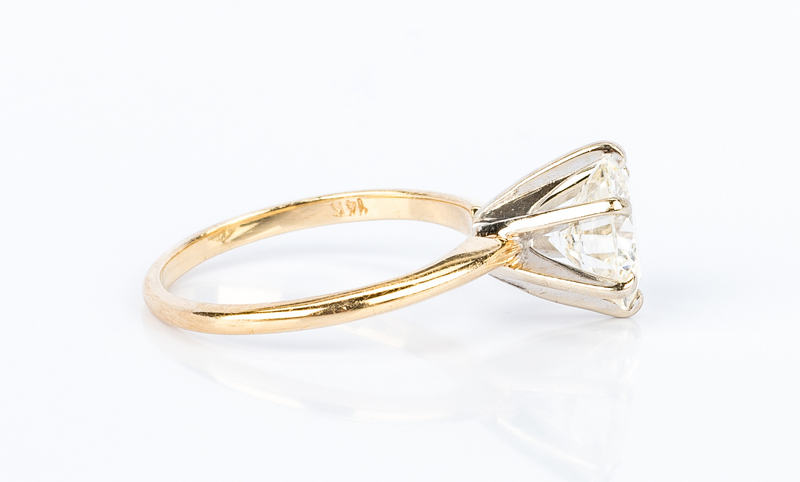 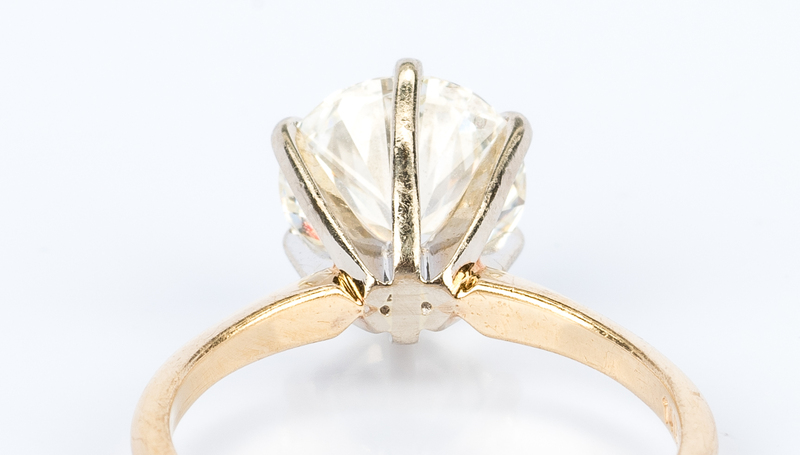 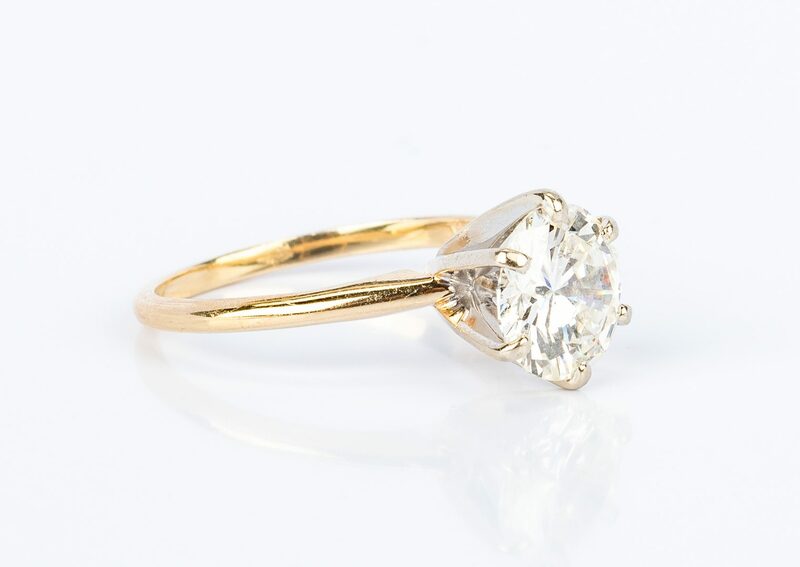 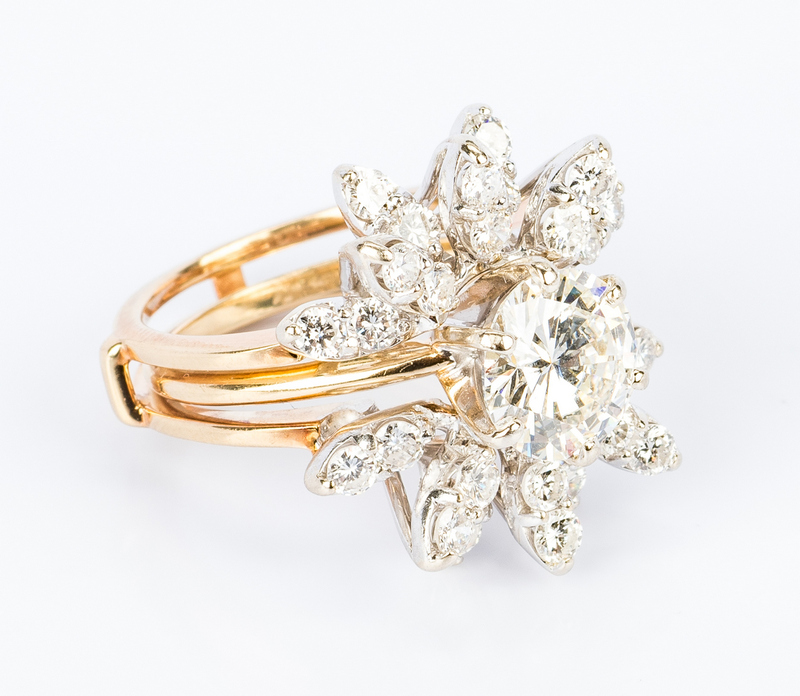 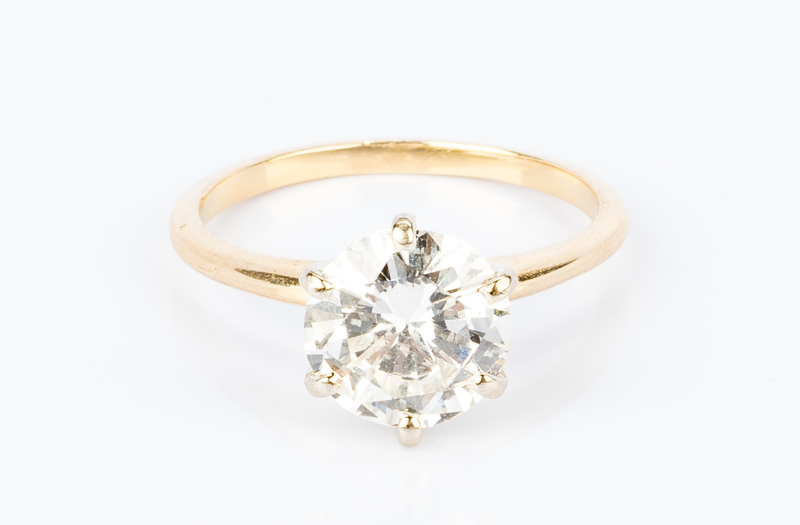 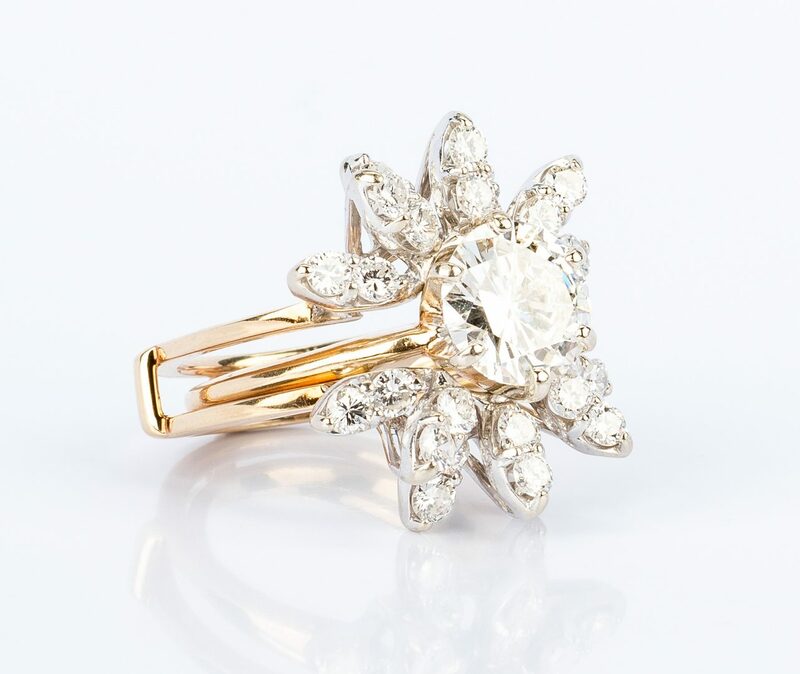 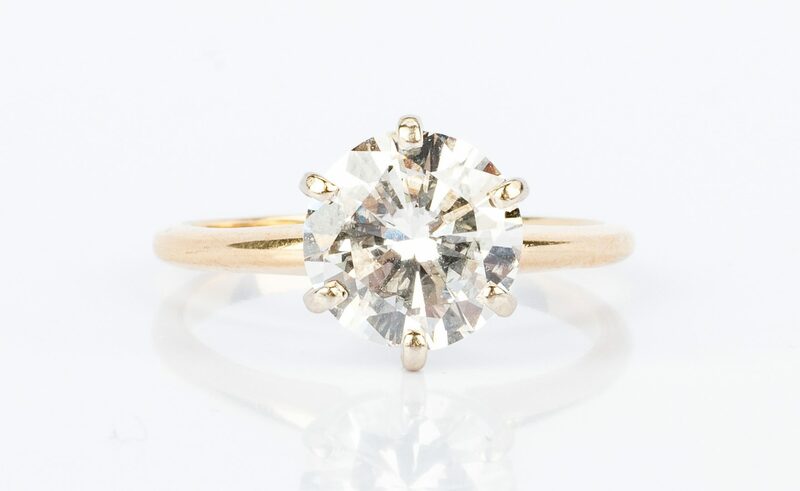 14K Diamond solitaire weighs 2.09 ct and measures 8.61 x 8.53 x 5.23 mm. 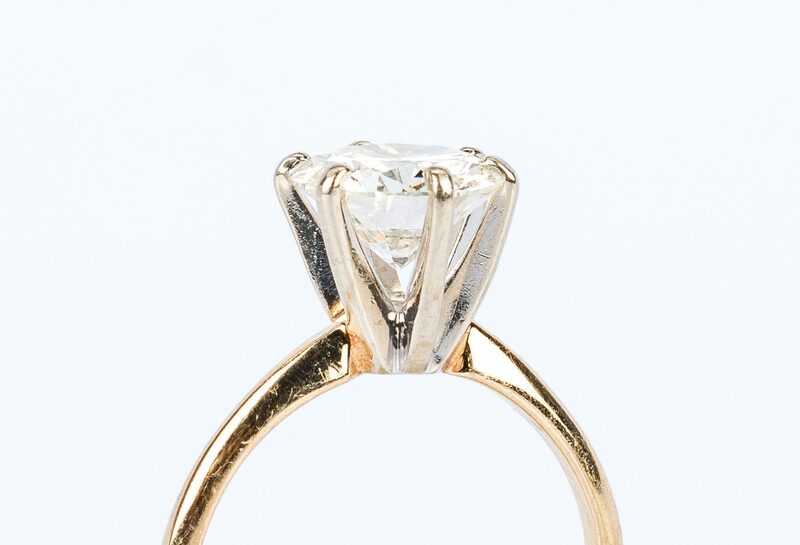 Clarity range: SI1-SI2, Color range: J-K, Table: 58%, Depth: 60.9%, Cut & Finish: Good, Symmetry: Good, Culet: Small, Girdle: Thin to very thin, Fluorescence: None. No certificate present. 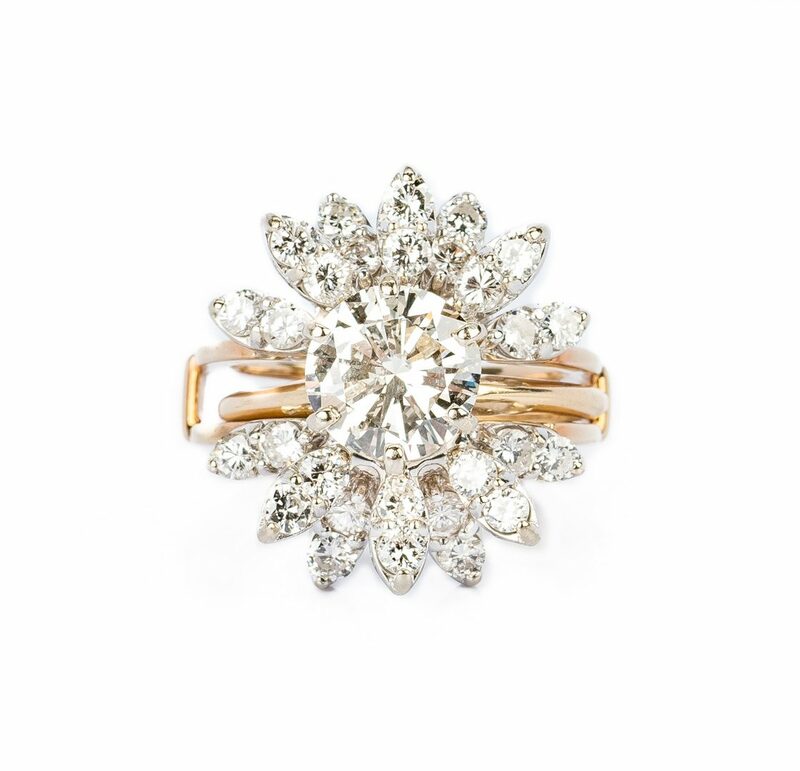 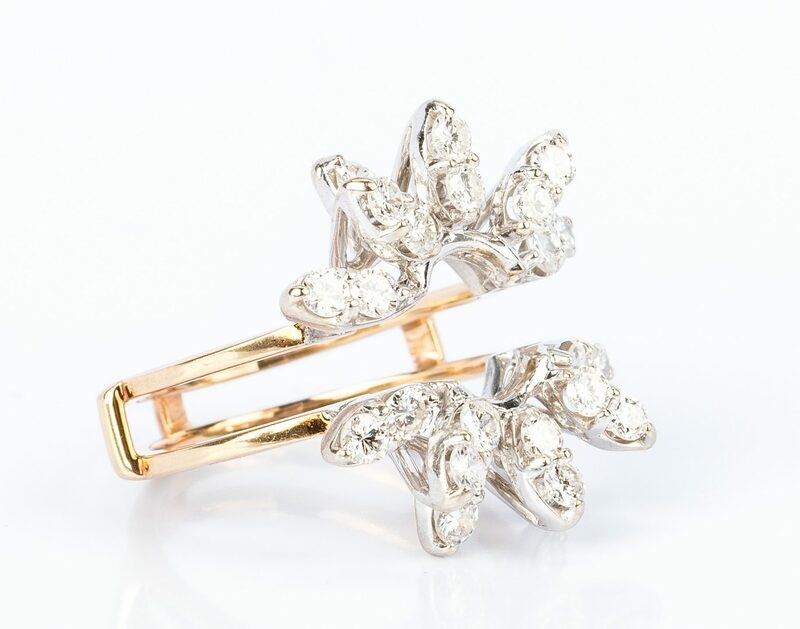 14K gold and diamond ring jacket containing 28 round brilliant diamonds with total weight of approximately 1.40 cts., VS1-VS2 clarity, F-G color. 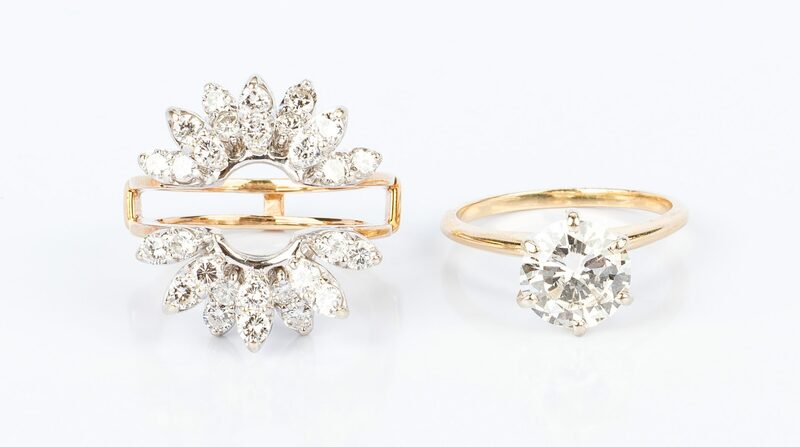 6 1/2 ring size. 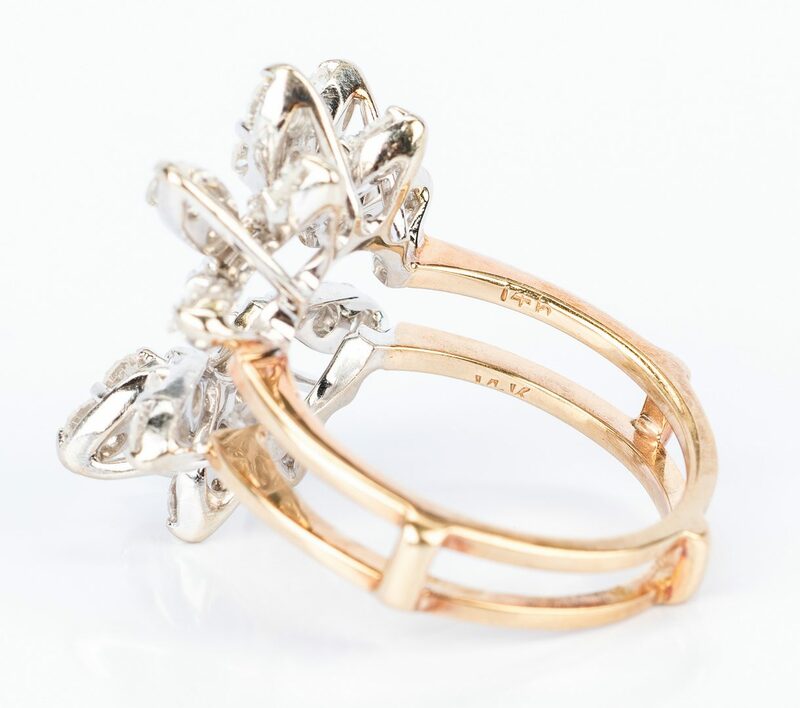 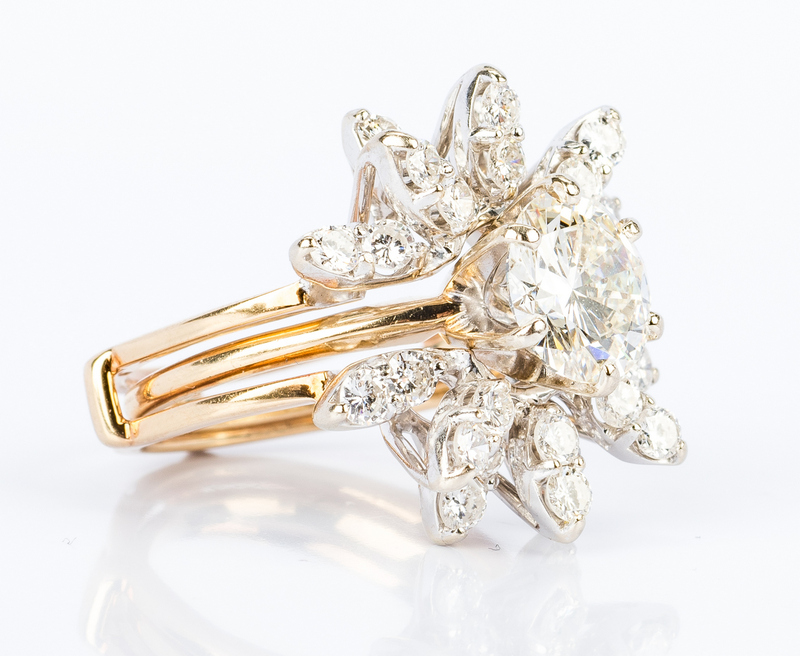 All diamonds set in 14 karat yellow gold mountings with 14K white gold heads. 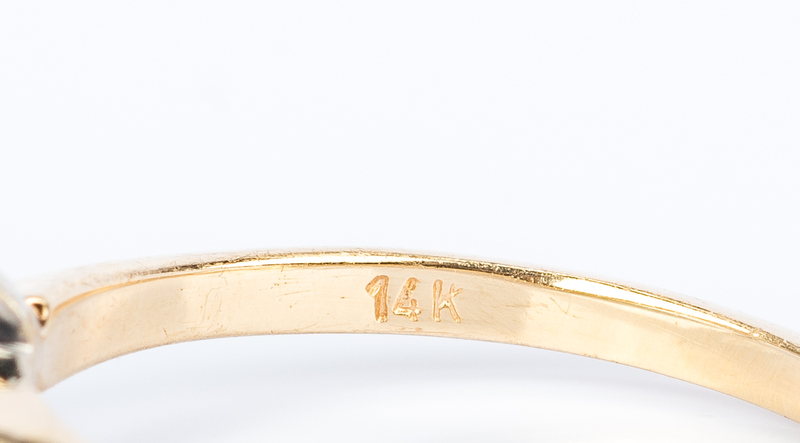 Marked 14K. 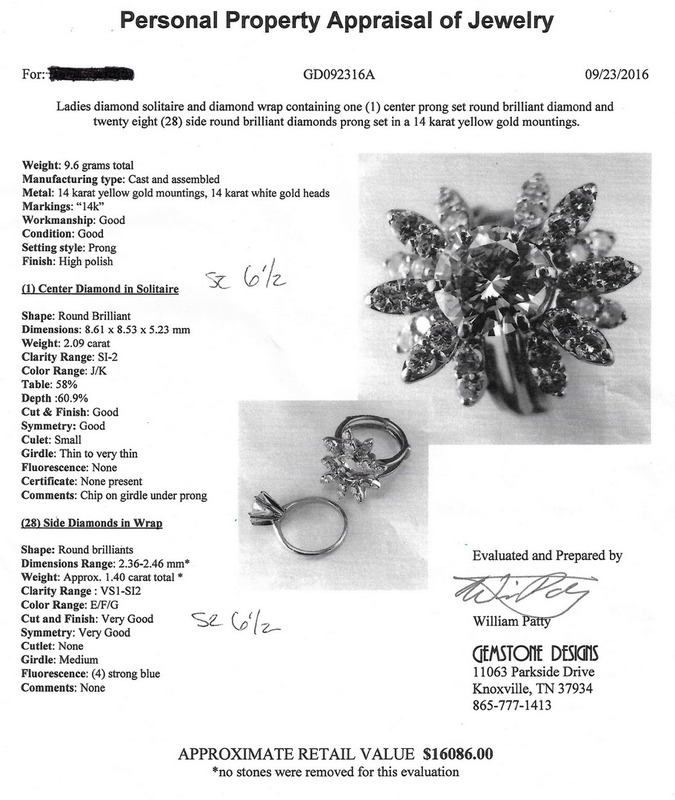 9.5 grams total weight/set. 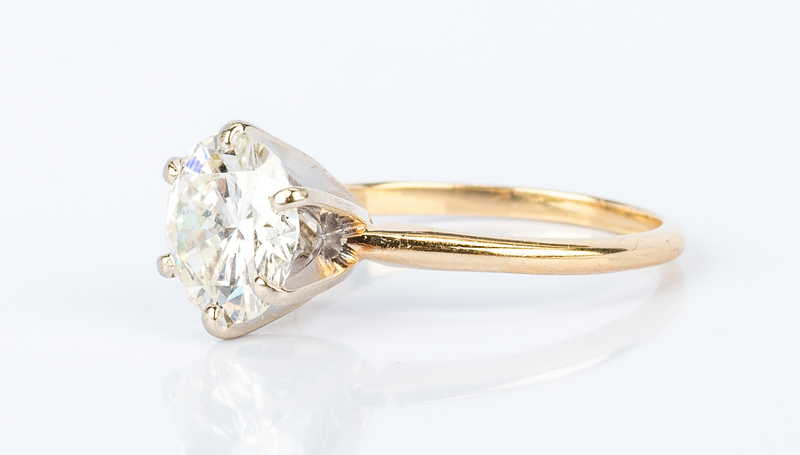 Note: Knoxville, TN jeweler's appraisal included in photos. 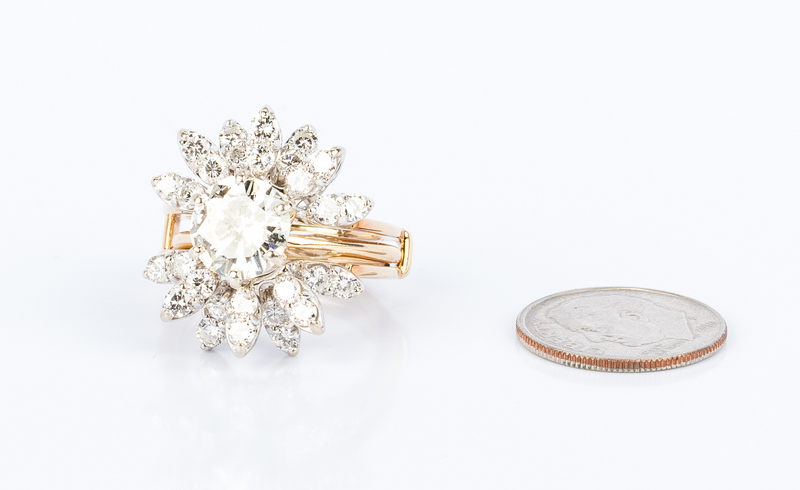 CONDITION: Chip on girdle under prong. No GIA certificate present.